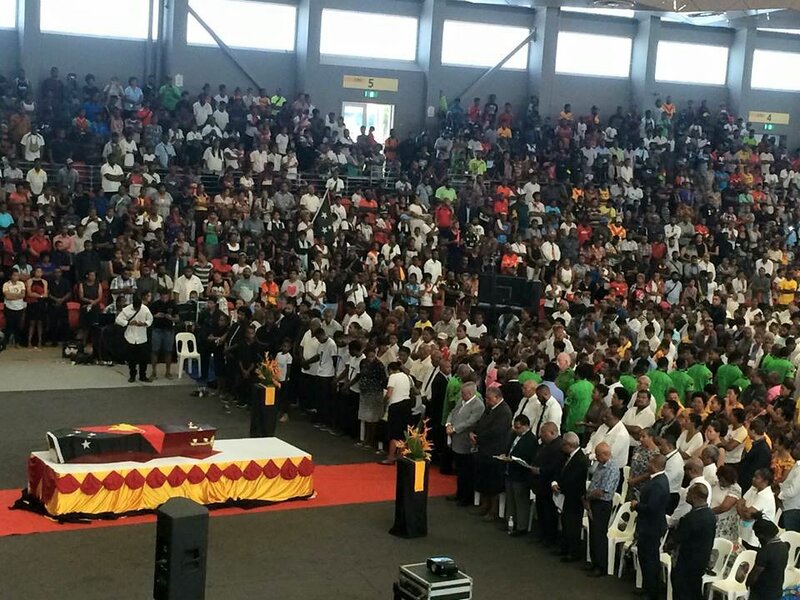 “His life will be our inspiration,” PNG Rugby Football League Chairman Sandis Tsaka said as he bid farewell to the late rugby league rising star Kato Otio during his funeral at the Sir John Guise Stadium Indoor Complex on Friday in Port Moresby. Hundreds including family members, VIP’s, team mates and representatives from the PNG Rugby Football League fraternity turned up to witness the funeral of the Late Kato Ottio and farewelled the young rugby league icon. Traffic was halted for some time as cab owners, PMV buses and other public motorists stopped by the Indoor Complex to pay their last respect for the rising league icon. Minister Tkatchenko described Kato as a very gentle young man who had an impact on the lives of everyone including those abroad and is indicative of how rugby league is a step ahead in the country. The casket of the late young star was returned to the funeral home at Erima after the funeral and will be buried at his home village of Tatana tomorrow.